I have discovered the secret of a successful Christian life. Are you ready for it? It is living and walking by faith every day. It is consistency. It is staying with it. Hebrews 11:1 defines faith as "the substance of things hoped for, the evidence of things not seen." Or, as the New Living Translation puts it, "Faith shows the reality of what we hope for; it is the evidence of things we cannot see. "Faith enables us to treat the future as present and the invisible as seen. Faith sees what could be. Faith does things. Faith takes action. Faith takes risks. Faith leaves its comfort zones to do things for the Lord. And faith that doesn’t produce works is a faith that doesn’t work. When we step out in faith, God will work. But if we don’t step out in faith, then really not much is going to happen. God works through people who walk by faith. Hebrews 10:38 says, “The just shall live by faith." Those who step out in faith do move mountains. Feelings come and go. We cannot attach our Christian experience to how we are feeling emotionally in the moment. We must learn how to walk by faith. We must believe the word of God. Prayer: Lord, increase my faith. The following story will definitely buttress the truth in this verses: A father left seventeen (17) camels as an asset for his three sons. When the father passed away, his sons opened up the will. The will of the father stated that the eldest son should get half of seventeen (17) camels. The middle son should be given one third ( 1/3rd ) of 17 camels. Youngest son should be give one ninth (1/9th of 17 ) camels. As it is not possible to divide 17 into half or 17 by 3 or 17 by 9, the sons started to fight with each other. So he gave 6 camels to middle son. So he gave 2 camels to youngest son. 9+6+2= 17 and this leave 1 camel, which the wise man took back. The attitude of negotiation and problem in solving is to find the 18th camel I.e the common ground. Once a person is able to find the common ground, the issue is issue is resolved. The common ground is that selfish perspective that puts others into consideration. The 18th camel represents the attitude of looking beyond one's personal interests to accommodate the interest of others. And of course the 18th camel is unusual input geared towards making even a seeming odd situation. It promises to work for all forms of collections in the year! It's my prayer that this shall be for you a year of pleasant surprises as you put the others first. Stay bless! Christ on the Mount of Olives had spoken to His disciples of His second advent to the world. He had specified certain signs that were to show when His coming was near, and had bidden His disciples watch and be ready. Again He repeated the warning, "Watch therefore; for ye know neither the day nor the hour wherein the Son of man cometh." Then He showed what it means to watch for His coming. The time is to be spent, not in idle waiting, but in diligent working. 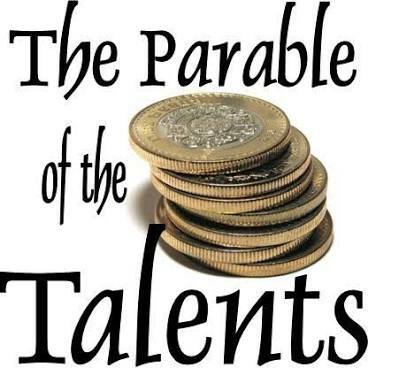 This lesson He taught in the parable of the talents. "The kingdom of heaven," He said, "is as a man traveling into a far country, who called his own servants, and delivered unto them his goods. And unto one he gave five talents, to another two, and to another one; to every man according to his several ability; and straightway took his journey." The man traveling into a far country represents Christ, who, when speaking this parable, was soon to depart from this earth to heaven. The "bondservants" (R.V. ), or slaves, of the parable, represent the followers of Christ. We are not our own. We have been "bought with a price" (1 Corinthians 6:20), not "with corruptible things, as silver and gold, … but with the precious blood of Christ" (1 Peter 1:18, 19); "that they which live should not henceforth live unto themselves, but unto Him which died for them, and rose again" (2 Corinthians 5:15). Christ's followers have been redeemed for service. Our Lord teaches that the true object of life is ministry. Christ Himself was a worker, and to all His followers He gives the law of service--service to God and to their fellow m. The law of service becomes the connecting link which binds us to God and to our fellow men.Each has his place in the eternal plan of heaven. Each is to work in co-operation with Christ for the salvation of souls. But unto every one of us is given grace according to the measure of the gift of Christ. Ephesians 4:7. Before He left His disciples, Christ "breathed on them, and saith unto them, Receive ye the Holy Ghost." John 20:22. Again He said, "Behold, I send the promise of My Father upon you." Luke 24:49. But not until after the ascension was the gift received in its fullness. Not until through faith and prayer the disciples had surrendered themselves fully for His working was the outpouring of the Spirit received. Then in a special sense the goods of heaven were committed to the followers of Christ. "When He ascended up on high, He led captivity captive, and gave gifts unto men." 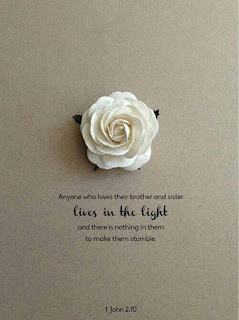 Ephesians 4:8. "Unto every one of us is given grace, according to the measure of the gift of Christ," the Spirit "dividing to every man severally as He will." Ephesians 4:7; 1 Corinthians 12:11. The gifts are already ours in Christ, but their actual possession depends upon our reception of the Spirit of God. 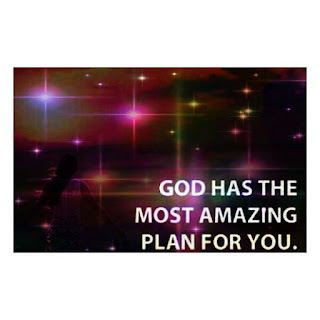 God having provided some better thing for us, that they without us should not be made perfect. Hebrews 11:40. But Christ has given us no assurance that to attain perfection of character is an easy matter. A noble, all-round character is not inherited. It does not come to us by accident. A noble character is earned by individual effort through the merits and grace of Christ. God gives the talents, the powers of the mind; we form the character. It is formed by hard, stern battles with self. Conflict after conflict must be waged against hereditary tendencies. We shall have to criticize ourselves closely, and allow not one unfavorable trait to remain uncorrected.Let no one say, I cannot remedy my defects of character. If you come to this decision, you will certainly fail of obtaining everlasting life. The impossibility lies in your own will. If you will not, then you can not overcome. The real difficulty arises from the corruption of an unsanctified heart, and an unwillingness to submit to the control of God. Many whom God has qualified to do excellent work accomplish very little, because they attempt little. Thousands pass through life as if they had no definite object for which to live, no standard to reach. Such will obtain a reward proportionate to their works. Remember that you will never reach a higher standard than you yourself set. Then set your mark high, and step by step, even though it be by painful effort, by self-denial and sacrifice, ascend the whole length of the ladder of progress. Let nothing hinder you. Fate has not woven its meshes about any human being so firmly that he need remain helpless and in uncertainty. Opposing circumstances should create a firm determination to overcome them. The breaking down of one barrier will give greater ability and courage to go forward. Press with determination in the right direction, and circumstances will be your helpers, not your hindrances. I am the vine, ye are the branches: He that abideth in me, and I in him, the same bringeth forth much fruit: for without me ye can do nothing. 6 If a man abide not in me, he is cast forth as a branch, and is withered; and men gather them, and cast them into the fire, and they are burned. John 15:5-6. Be ambitious, for the Master's glory, to cultivate every grace of character. In every phase of your character building you are to please God. This you may do; for Enoch pleased Him though living in a degenerate age. And there are Enochs in this our day. Stand like Daniel, that faithful statesman, a man whom no temptation could corrupt. Do not disappoint Him who so loved you that He gave His own life to cancel your sins. He says, "Without Me ye can do nothing." John 15:5. Remember this. If you have made mistakes, you certainly gain a victory if you see these mistakes and regard them as beacons of warning. Thus you turn defeat into victory, disappointing the enemy and honoring your Redeemer. A character formed according to the divine likeness is the only treasure that we can take from this world to the next. Those who are under the instruction of Christ in this world will take every divine attainment with them to the heavenly mansions. And in heaven we are continually to improve. How important, then, is the development of character in this life. God requires the training of the mental faculties. He designs that His servants shall possess more intelligence and clearer discernment than the worldling, and He is displeased with those who are too careless or too indolent to become efficient, well-informed workers. The Lord bids us love Him with all the heart, and with all the soul, and with all the strength, and with all the mind. This lays upon us the obligation of developing the intellect to its fullest capacity, that with all the mind we may know and love our Creator. If placed under the control of His Spirit, the more thoroughly the intellect is cultivated, the more effectively it can be used in the service of God. The uneducated man who is consecrated to God and who longs to bless others can be, and is, used by the Lord in His service. But those who, with the same spirit of consecration, have had the benefit of a thorough education, can do a much more extensive work for Christ. They stand on vantage ground. 1. Keeping your seed instead of planting it. Many people stop at saving. It's very, very difficult to save and have all you need to maintain your lifestyle especially after retirement. When you save, your savings are seed; plant it. When you just keep the seed (saving money) some seeds begin to die (eaten by inflation and the like). That's why I recommend that you read about the different types of investment vehicles you can use to grow your savings. I am not necessarily talking about putting the money in a business, because you can easily lose money in business. I am talking about putting it in an investment. 2. Walk with people wiser or stronger than you. In 2019 and beyond, surround yourself with people who will inspire you, who will make you feel you can do better, who will challenge you on. 3. Check your dressing or appearance. Don't put on 'anything' just because it covers your nakedness. Your appearance tells a lot about you. Iron your dress neatly. Don't wear dresses in the name of fashion or trend . Wear more decent but fitting dresses. This is the slogan Simple but Classy. 4. Check how you talk. Before you open your mouth, be minded of who you are talking to, where you are talking, when you are talking and also know that your integrity is at stake. In every situation, choose silence over speech unless you don't have any option. 5. Visit old people's home to appreciate them also orphanage and children in need of special care. Don't let them feel unwanted or neglected in the scheme of things. 6. In 2019 and beyond, be more prayerful. You can't live your life thinking things occur merely logically. There's a Supreme Being who makes things happen, pray to him. 7. Never lend someone money you are not willing to lose. By the time you lend someone money, be contented in your heart that should the person fail to pay, you will not die. You should not even lose that person's friendship if they fail to repay the money you lent them. If you feel the person might fail to pay you and this will not affect your relationship with them, then lend them money. If their failure to pay would make you hate this person’s entire clan, please advise the person to go to the bank. 8. In 2019, always think Positive while being Realistic. When you see tigers praying to God, don't join them. You can be positive that they won't 'chop' you since they are praying but be realistic too that after the prayers, they'll remain tigers and God will feed them with flesh. 10. In 2019 beyond, Invest more, save less, spend less. Put your money into investment ventures. Buy T-bills, buy shares, buy fixed deposits, import some goods and sell, be a stock broker, etc. In fact, get more than one stream of income! 11. Many known names have gone and life goes on. The point is, don't work your life out. You won't take your work with you when you die. You are not as important as you think, calm down. Take time off work, go and do medical check-up, visit your family, visit gardens or the beach and appreciate nature, etc. 12. Don’t shy away from asking questions. Questions are the only way to increase the wealth of knowledge, therefore, never shy away from asking them. Ask questions that make you understand how things work and how they can make things work. 13.Never spend money you haven't received. Don't even promise someone money based on a promise you have from someone else. If someone tells you "Ezra, come to my office tomorrow at 9am and pick thirty thousand"don't go out to buy items on credit based on this promise, with the hope that you will pay off your creditor when the promised money comes; it may not come as promised and this will leave you in problems with your creditors. 14.Immerse yourself in learning. You must get involved in learning by actually doing things. Find things out, connect with people, and join groups in various stages of your life. But whatever you are learning, get yourself completely immersed in it. Do things that require a higher level of awareness and stay fully concentrated in whatever you are reading. 15.Make a decision and take action. Whatever the situation is, don’t be afraid to make decisions. And once the decisions are made, don’t hesitate to take massive action to gain momentum. It is because every vision requires action and if you don’t actually work on it, you can never achieve success. 16.Keep track of your progress. You need to keep records in order to see the patterns and go back to see how you have been doing. You need to see whether you are taking the right actions in order to reach your goals. When you track your progress, you become aware of the weak points and make an effort in getting them fixed. 17.Nurture your network. In order to become addicted to achieving success, you have to socialize with people that you respect and also the ones that are moving forward. Once you create a network, it will help you to tap into opportunities that can come across through connecting with other people. 18. Be reliable. Stay honest in your dealings by fulfilling the promises that you make. Do things that you said you will do and never step back from that. It will make you reliable in the eyes of the people and they will be comfortable dealing with you. 19. If you want to save, whenever you receive money, don’t start spending hoping that you’ll save what remains. Normally what remains is zero because as long as money to spend is available, the numerous things you can spend it on are also available. And things to spend on even incite their 'relatives' so that you spend even more than you had planned. When money to spend is not available, we naturally find a way of doing without it. That's why I've learnt to save with an investment club. Once I send money there I assume I no longer have it. Before you spend any money, put your savings aside then spend what is left after saving. 20.Never borrow money that accrues interest to start a business. That is to say, never borrow money to start a business expecting that the business will generate income to pay back the borrowed money plus the interest. 21. In 2019 and beyond, start thinking or planning towards doing more for humanity. Never spend money you haven't received. Don't even promise someone money based on a promise you have from someone else. If someone tells you "Ezra, come to my office tomorrow at 9am and pick thirty thousand"don't go out to buy items on credit based on this promise, with the hope that you will pay off your creditor when the promised money comes; it may not come as promised and this will leave you in problems with your creditors. 22.When you get an opportunity to meet a very wealthy person, never ask for money. Ask for ideas on how to make money. They may even choose to give you money on their own after seeing that your ideas are great, but let getting money from them never be your objective. 23.Pursue something. Don't walk in the entire 365 days without having something particular in mind to achieve. Start a building project, buy a car, pay some school fees, start some job. Just do something! 24.Thinking about short-term only and forgetting about long-term or thinking about the long-term and forgetting about the short-term. For instance, Lydia was told that there's money in land. She saved money over a long period of time and bought 30 acres of land. Now she has the land but she is always broke. She is always complaining. She's disgruntled and she doesn't seem to see herself earning from the land in the near future. Now, let's ask ourselves Having 30 acres of land and no money to feed your family or take a child to hospital, is that wealth or poverty? I think Lydia only looked at long-term needs and forgot that she has short-term needs that require money. What of those who find they are one paycheck away from salary? Are they thinking about the long-term needs? 25.Never lend someone money you are not willing to lose. By the time you lend someone money, be contented in your heart that should the person fail to pay, you will not die. You should not even lose that person's friendship if they fail to repay the money you lent them. If you feel the person might fail to pay you and this will not affect your relationship with them, then lend them money. If their failure to pay would make you hate this person’s entire clan, please advise the person to go to the bank. 25.Never append your signature to guarantee someone on a financial matter if you are not willing or able to pay the money on their behalf. Do I have to explain that one? No, it's self-explanatory. 26.Avoid keeping money you don't intend to use in the short-term within easy reach. For instance, don’t walk with one hundred thousand naira in your pocket when all you plan to do in a day costs twenty naira. There are always expenses available to gobble any money that is within reach, so if you don't want to lose it, put it away in a safe place. 27.Avoid keeping money in inappropriate places e.g. in socks, under the pillow, in a pit, in the sitting room, in the bra, in a travel bag that you will place somewhere in a bus impulse buying is a devil that will keep you busy! 28.Spending money on an item that you can do without (at least for the time being). These days when I pick money from my pocket or wallet, before paying for something I ask myself What would happen if I didn’t buy this? If I find I can live with the consequences of not having that thing, I smile and walk away. 29.Paying an amount for something that's not the minimum you can get that same value for. In other words, if you are along east Legon road and you pay fifty thousand naira for a shoe that you can get at thirty thousand at Makola market, that's a except for those who have achieved financial freedom. 30.Consistently spending all you earn or more than you earn. It's like having a drum where you have an inlet that's smaller than the outlet. It will never get full. And should the inlet ever reduce significantly the drum will run dry. If you do it the other way round and the inlet is bigger, it will get full and even overflow. Hence, we have to always ensure we are widening the inlet while narrowing the outlet – all the time. Your side hustle comes in handy! 31. Imagine yourself as a gardener. Have you ever seen a gardener preparing the soil before planting seeds? They are always glad when it’s time to reap the benefits of their harvest. Think of crops as revenue streams, networks, and hobbies. It will make you understand that in order to receive, you have to give first. Good luck and have prosperous new year ahead.